Ficino School > News > Events > Ficino Running Club carrying the torch! Ficino Running Club carrying the torch! 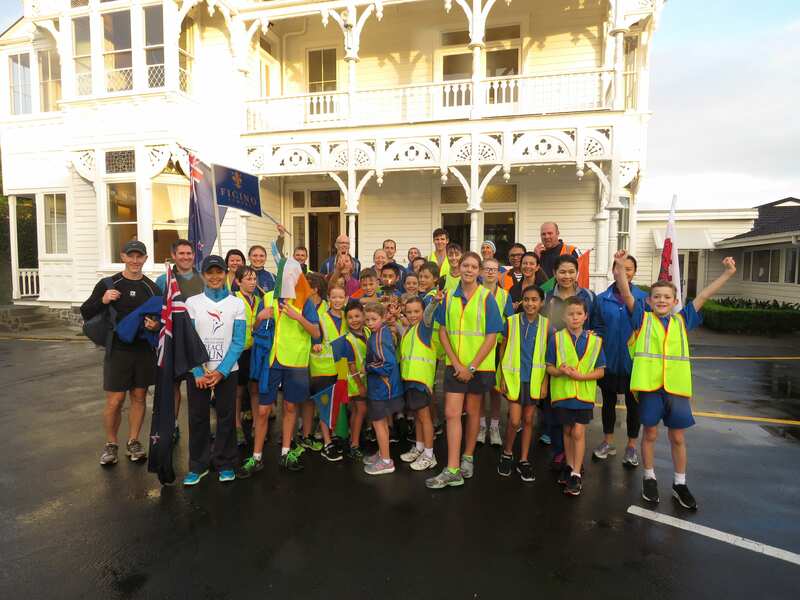 The Ficino School Running Club formed part of a worldwide peace chain when they took part in the Sri Chinmoy Oneness-Home Peace Run on Friday 27 May. Children had the opportunity to hold, and run with the Peace Torch in Mt Eden as it makes its way around the globe, eventually encompassing visits to over 100 different countries and territories. Celebrating its 30th year, the run provides students with an opportunity to combine physical fitness with the development of positive values which work towards the promotion of a greater global understanding and harmony. This opportunity embodied many of the practices and teaching that Ficino School offers to its students. From the importance of the nourishment of their minds and bodies to the growing of their innate ability to care for others and develop respect for everyone. 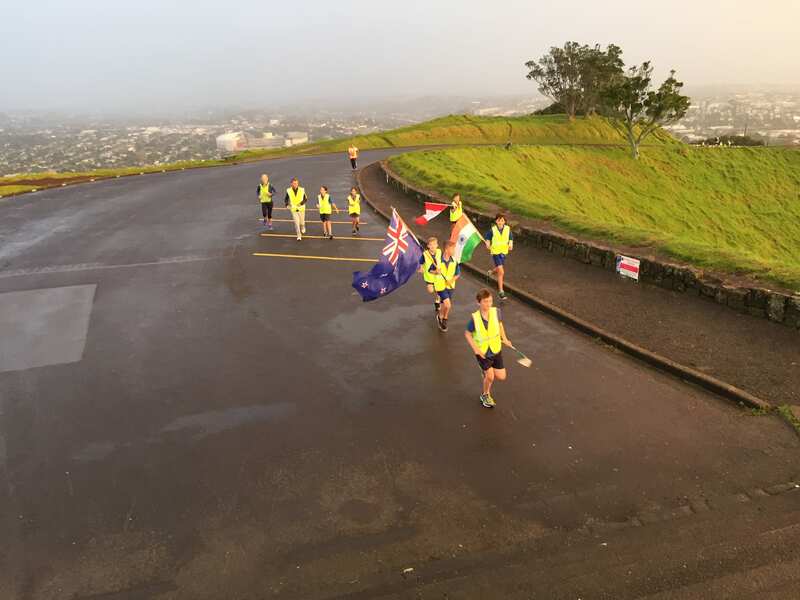 The 10 Peace runners, led by Daniel Rubin, accompanied the Club to the summit of Mt Eden. The torch continues down to schools in Hamilton, Tauranga and Rotorua. Mr Rubin presented Ficino School with a certificate of appreciation and a print of one of Sri Chinmoy’s paintings.